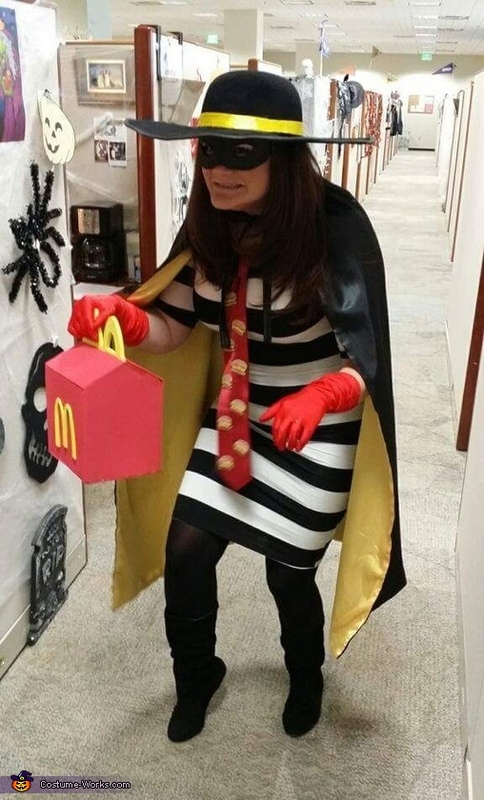 I am wearing The Hamburglar costume. The idea came to me by McDonald. I had bought the dress, gloves, hat and mask on line, and sewed a two tone cape together (black on the outside, yellow on the inside). I had bought a red tie and made/cut all the hamburgers out of foam that you buy at the craft store. I also made the happy meal box out of foam. I had made the hamburger earrings out of polymer clay.